Grandview in Overcharge mode to be showcased next week. Boss Key Productions’ LawBreakers is currently taking sign-ups for its forthcoming alpha test but more importantly, footage of the multiplayer shooter will be live-streamed by YouTube and Twitch players next week ahead of E3. On June 6th and June 8th, you can look forward to seeing gameplay from the map Grandview though only one mode – Overcharge – will be showcased. Cliff Bleszinski has already noted that more information on the alpha test will be coming up at the PC Gaming Show at E3 on June 13th at 11:30 AM PST. The closed alpha starts in mid-June and more players will be added throughout the Summer. 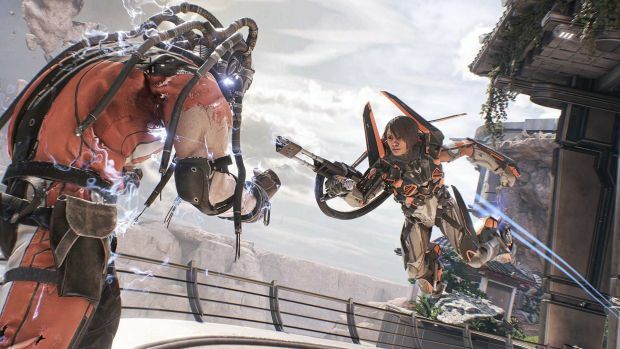 LawBreakers is currently slated to release on PC courtesy of Nexon though Bleszinski has talked about bringing it to consoles if there is enough interest. Stay tuned for more information on LawBreakers in the coming days as the road to E3 heats up and let us know in the comments about your thoughts on the game.